Sierra Wireless AirPrime® EM Series embedded modules deliver high speed connectivity with a variety of advanced air interfaces, including LTE frequencies, around the world. 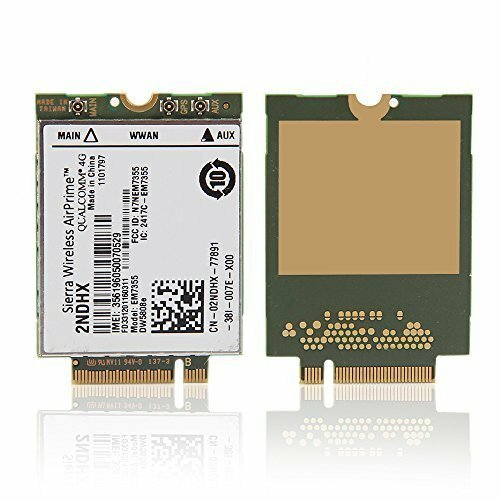 Their PCI Express M.2 form factor allows easy integration into smaller and thinner mobile computing devices like tablets or ultrathin laptops. The EM Series are optimized for low power consumption, to enable longer battery life. These modules support Windows® 7, Windows® 8, and Linux operating systems. With multi-operator support on multiple LTE networks, the EM Series allow PC OEM customers to address global markets and provide end customers the fl exibility to choose and change their network operators with one device. These modules support LTE data speeds up to 100 Mbps downlink and 50 Mbps uplink and are compatible with HSPA+ and quad-band GSM/GPRS/ EDGE frequencies. The EM7355 also supports CDMA/EV-DO. These modules are available on HSPA+ and quad-band GSM/GPRS/EDGE frequencies and support 42 Mbps downlink and 5.76 Mbps uplink speeds. High-speed Connectivity for Mobile computing Sierra Wireless AirPrime® EM Series embedded modules deliver high speed connectivity with a variety of advanced air interfaces, including LTE frequencies, around the world.